And if you want it in specific categories, we have got too. Didn’t I just say a well-researched list? It’s a competitor of Exodus and Covenant, and best for Xbox users. This addon makes available movies and tv shows in HD quality. Another reason why it has become the most popular is that it provides a lot of links and sources for a movie than you will find anywhere else. It’s available in the Blamo Repository. Be it your favorite TV show, your team ticking it off in finals, a full length feature film or just a simple news story, the addons listed below are going to become a paradise for all your video streaming needs. In a jiff! Obviously, if you find a guy who says he hasn’t heard of this name your next question surely gonna be, “Dude! Are you really from earth?” So, when such a brand comes up with its own customized addon for Kodi streaming, there is no doubt that it will stand on top of everyone. Reddit hosts millions of videos each day and using Reddit.com addon, you can stream any video from Reddit on Kodi. It also comes up with a plethora of features if you simply login with your Reddit account. This is another awesome addon which is going to change the way you watch videos forever with its super customized long list of content. Also, a single look at it reveals that it is going to be paradise if you are one of those guys for whom staying in the arena of latest tech gadget info is a hobby. It is surely worth a try! Now this section is especially for you if you write binge-watch in the section called hobby. Be it upcoming GOT, Arrow, Flash, Suits, Prison Break or whatever you name, these addons below will surely satisfy your hunger to the last ounce. iPlayer WWW is a TV addon for Kodi that allows you to stream shows from BBC iPlayer. You can also use the addon to play live or catch up TV. You ought to keep in mind that the addon is not an affiliate of BBC iPlayer but it you use it to stream TV shows such as Sherlock, Top Gear, Doctor Who, and much more. Now, this is the guy who surely needs no introduction. None at all! With over a billion subscribers and counting, this service from Google will surely be the best option to go for if you are ready to pay. You can get all your favorite shows at a single spot and in ultra high definition. According to the latest statistics, YouTube has over 1,000,000,000 mobile video views per day. So, finally, it’s time that we look into the very essence of the word entertainment: Movies! You always choose from the following list of add-ons to chew on the popcorn on weekends. It has become the most popular Kodi add-on and Exodus has been officially replaced with it. It is much more stable than any other movie add-ons including Exodus. This is the reason why it became #1 in the Kodi world. It’s a Covenant competitor offered by Blamo Repository. This Kodi add-on offers users free copyright materials – movies and tv shows without any delay. After getting shut down, Genesis was reborn with the name – Genesis Reborn. It has got the same team of developers which were behind the Genesis add-on. The new one has got all the features of its predecessor. Exodus enhances user streaming experience by supporting Real-Debrid, All-Debrid, and IMDB. If you didn’t get what you, just ignore this geeky stuff and understand that, in a crux, this all helps provide the users a premium experience! 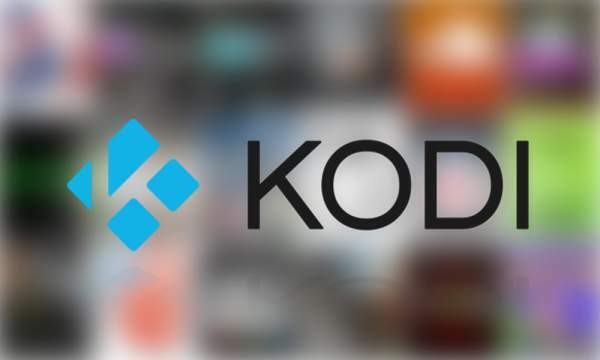 Check: How To Install Exodus Kodi Addon? Streaming live TV online is surely the future now. So why should Kodi lag behind? You can now enjoy binge-watching your favorite tv shows like The Flash, Arrow, Game of Thrones, etc. So, here we have some of the best live tv addons for Kodi 2018. This is the most widely used addon to stream live TV and requires a subscription from USTVNow official website. As of now, it offers channels like CBS, ESPN, NBC and Fox News. But the hype is that the company is planning to expand this list at the earliest. So, without any further wait, add this addon and get going. It’s more of a live sports addon than a live IPTV one. Because it mostly provides you with popular live sports channels. Also, it brings you movies for free and you can find the latest films too. Most of the new movies running in cinemas can be found here in HD cam versions. It is available in Maverick Repository. This addon is for British fans around the world. They can watch their favorite tv shows and live streaming channels in Britain alone. Along with it, you can find movies and documentaries all day long. It’s available in the Bizzle Builds Repository. If you are one of the numerous adrenaline pumped sports fans, then this section has been tailor-made for you. Here, we list the best Kodi addons for sports available which will get you going with a tub of popcorn while your favorite team makes it to the cup! With options like offers live sports, replays, and highlights from best-of-the-time sports events, this is another must-have stuff if you call yourself a sports maniac! Even though some of the games require NBC cable subscription, it’s really worth it. cCloud TV is more of an international product with channel streams from more than 10 nations from two different continents. Also, you get the option to choose the language of the comminatory depending on the region and availability. Why pay for the whole monthly subscription when you have got the option to pay only for what you view. Kodi supports many addons which are made to cater to your pay-per-views (PPV) live online. Here are a couple of options you can try out and are obviously the best ones available right now. This one takes the entertainment to a whole new level with its exhaustive list of content to choose from. BT Sports, BeIN, TSN, Sky, Showtime, ESPN and the list goes on. Along with all these, what sets Zem apart is the fact that it’s one the rare options which provide leading dramas, movies and TV soaps of Pakistan and India on a pay-per-views (PPV) basis. It’s a real treat for the UFC and MMA fans. There are 30 different categories too. To get the best performance, you should get a Real Debrid account. It will optimize your internet connect and use fast servers. So, you will enjoy PPV with smooth media streaming. It’s an interesting addon which brings a lot of unique content together. It is the best addon for those who are into WWE, UFC, Kickboxing, and similar sports. Its home screen features a long list of different categories of sports. You won’t find a dedicated PPV category, but you will get some interesting categories for sure like Showtime Sports and HBO boxing. No need to be disappointed if you are an anime fan. Here are a couple of options for whom streaming high-quality anime episodes going to be their forte. So, try them out. The fans of anime will be able to find all the latest anime movies and tv shows. It also includes special category featuring special Anime videos. This is the list of best kodi addons available for movies, live tv, streaming, xbox one, premium, sports, and others. Stay tuned to TheReporterTimes for more.